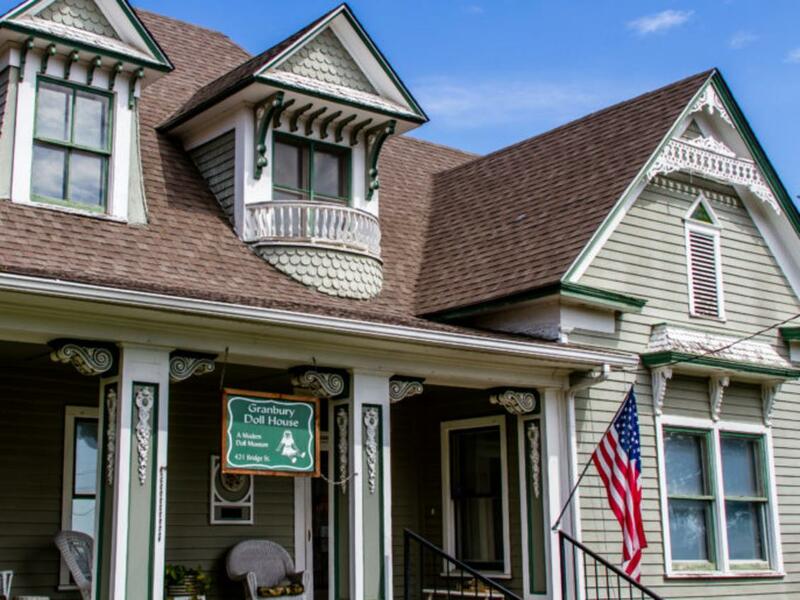 The Granbury Doll House Museum is walking distance from the Square in historic Granbury. This charming, life-sized doll house sits behind a picket-fence on a tree-lined street. The museum boasts a magnificent collection of several thousand treasures, providing a captivating slice of Americana. Since 2012, the museum allows doll lovers young and old to revisit beloved childhood favorites, while running into many celebrity look-a-likes, such as Prince William and Duchess Kate Middleton, Clark Gable, and Marilyn Monroe. Wander through its rooms and be transported back in time as you marvel at the craftsmanship of dolls from bygone eras of United States history. Dolls vary in size, style, and fashion, allowing visitors to reexamine those special reminders from their youth, as well as discover doll trends popular in centuries past. The museum houses an extensive Madame Alexander collection, as well as many exquisite baby dolls in delicate lace garments, GI Joes, Barbies, and Girl Scout and Brownie dolls. There is also a group of story book dolls, as well as miniature doll houses, delightfully decorated with the most intricate care. Recently, the museum has welcomed many exciting new additions, including stately First Ladies in inaugural gowns, several new presidents, and lovely foreign dolls, to name a few. Founders Barbara Williams, Jane Sharp, and Kathy White are exceptionally knowledgeable and take great care to tell the tales of their assortment of dolls, which consists of about 2500 donated gems. The oldest doll in the collection dates back to 1860! The Granbury Doll House Museum, where “every doll has a story,” is located at 421 East Bridge Street, and is open on Fridays and Saturdays from 10 AM – 4 PM, and Sundays 1 PM – 4 PM. To schedule a tour, or inquire about doll-making demonstrations, call 817-894-5194, or visit the museum Facebook page at https://www.facebook.com/TheGranburyDollHouse.